HomeJeepDoes the Jeep Grand Cherokee have 3rd row seating? Jeep’s midsize SUV, the Grand Cherokee seems like the ideal candidate for third-row seats, with its large back end, decent length wheelbase and heavy-duty suspension. In fact, of all the vehicles in its category, the Grand Cherokee appears to be the most suited to receive a seven-seat version. So does the Jeep Grand Cherokee have 3rd row seats? The Jeep Grand Cherokee is a two-row SUV with five seats only. It’s unlikely that it will ever be made with a third-row option. Rumours have been swirling around that the 2020 Jeep Grand Cherokee will be made available with seven seats, however these are unconfirmed. If you do want a Grand Cherokee with a third-row, check out our suggestions below. Fiat Chrysler Automobiles (FCA), the owner of the Jeep brand, has plenty of other three-row SUVs in its stable, which is why it’s happy to steer buyers in that direction. Jeep wants its vehicles to be both as capable and as practical as possible, which is why the Grand Cherokee won’t be available with a third-row set of seats. Are there any Jeep models that have 3rd row seats? Yes, there are, such as the Jeep Grand Commander, however this is currently limited to the Chinese market. But Jeep will almost certainly bring it to the US, however it will likely get the Pentastar V6 rather than the current turbocharged 2.0-liter four-cylinder found in the Chinese version. It’s possible that Jeep could also change the name to Jeep Grand Wagoneer in reference to the old full-size SUV produced in the early 1980s. Jeep’s sister company Dodge also offers the Durango, a seven-seat crossover that is marketed at folks who want to carry a few people around but don’t want to park an MPV in their driveway. Can the Jeep Grand Cherokee be retrofitted with 3rd row seats? Yes, it’s possible, however, it’s not a Jeep approved modification, and you’ll need to check a few things first. The extra two seats for the third row can be purchased from Discount Van and Truck (see here for the link) but will need to be mounted yourself. The first thing you need to know is that the seats have been designed specifically for the Jeep Grand Cherokee built from 2005 to 2010. You also need to have the version that has the “donut” spare tire inside. The company says that the installation will take around two hours to complete, and instructions are included. However, you will need to drill into the vehicle’s structure. You can face the seats forward or backwards and there are two lap seatbelts, rather than lap-sash. 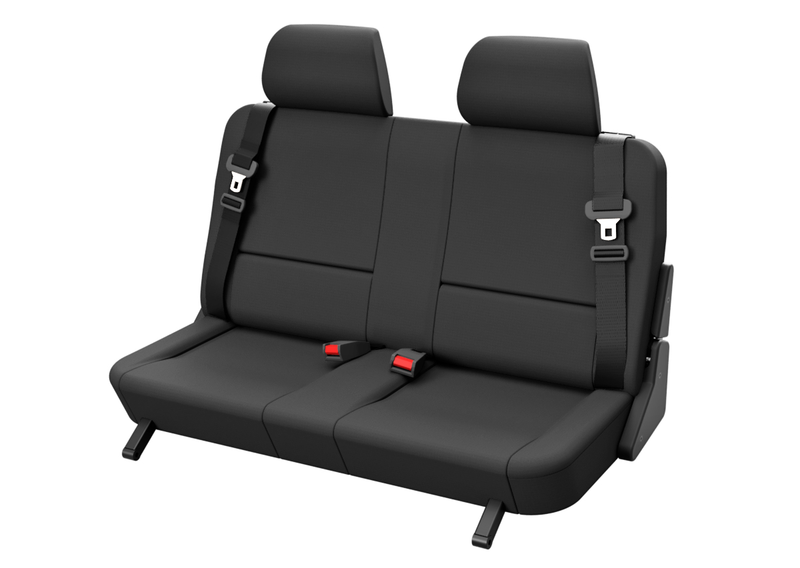 Alternatively, there’s this product from Techsafe Auto which does come with lap-sash seatbelts and it’s designed to suit the current model Grand Cherokee, from 2011 to 2018. Both seats are designed for small children, typically four-year-old to 12-year-old children and will match the factory seat pattern, with both fabric and leather versions available. The advantage of the Techsafe version is it allows for easy removal with quick release fastenings.